My aunt Maxine always made these for us kids. They are so amazing. Make them today to share with your nieces and nephews - or eat them all yourself! Melt the butter in an 11 x 7 inch baking pan, making sure the sides of the pan are coated. 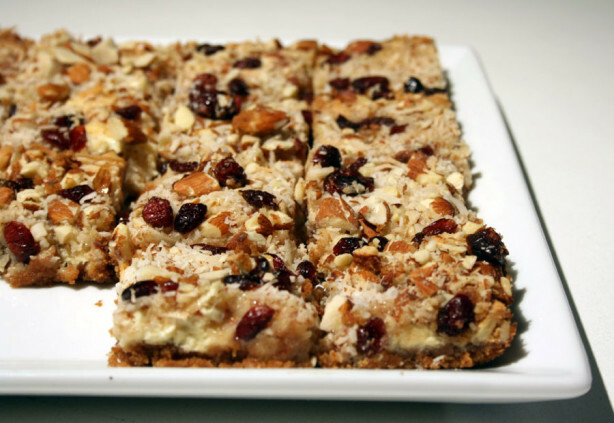 Layer cracker crumbs, coconut, chocolate chips, chopped nuts and butterscotch chips in that order. Pour sweetened condensed milk over everything. Loosen from the pan; cool and cut into squares.